The Pro-Tec Executive leather flip case fits your phone perfectly, offering maximum protection yet access to all your phones features without having to remove it from the case. Made with a hardened outer shell for increased durability and protection. The integrated solid plastic guide rails are designed to hold your handset without lateral movement, whilst still allowing you to have full access to the phones screen and all of its features. 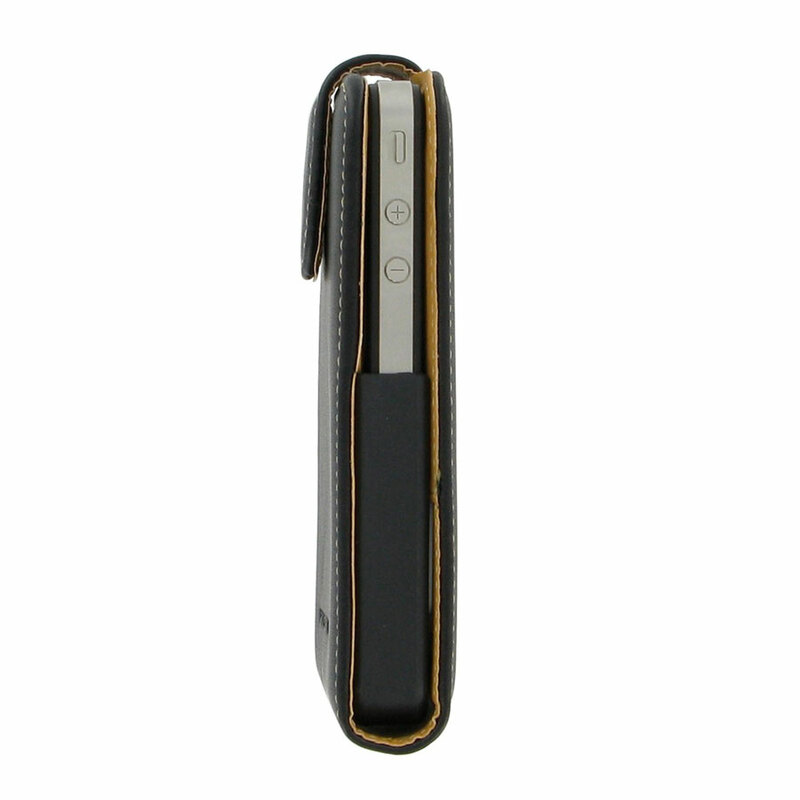 The case comes with a magnetic closure which keeps the case closed and your iPhone 4 / 4S protected at all times whilst its inside the case. 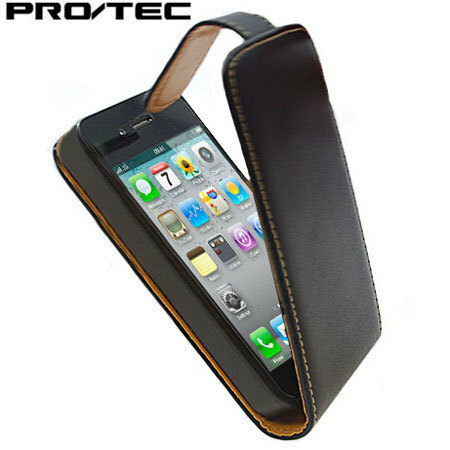 The Protec Executive Leather Flip Case for iPhone 4/4S is ideal if you’re after a smooth looking case that’ll protect the screen and back of your phone. 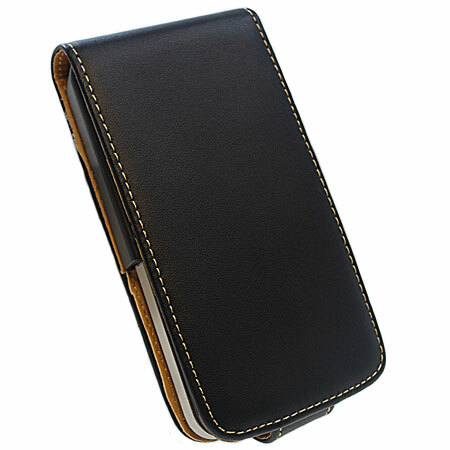 The luxury leather material is high quality, so it not only gives great protection against the unavoidable knocks of everyday life, but also looks professional and stylish. The screen is one of the most fragile yet important parts of your phone, which is why this folio case folds down to give it protection. 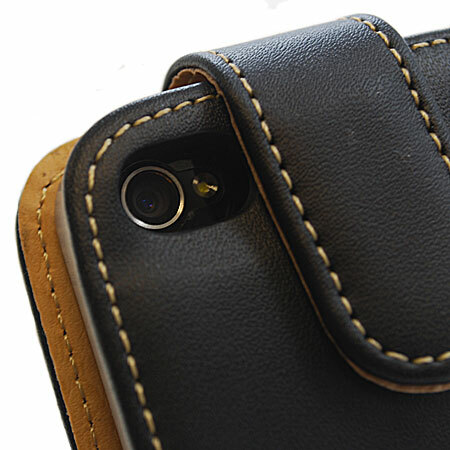 A magnetic clasp helps to keep the case shut when you’re not using it. 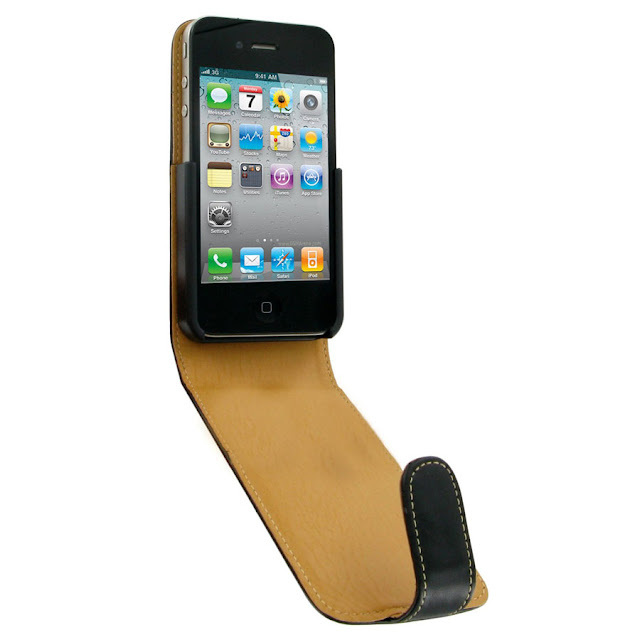 Designed for the iPhone 4 and 4S, the Protec Executive Leather Flip case gives instant access to all of your phone’s features and ports.